EXCLUSIVE! All the sparkle at a fraction of the cost. 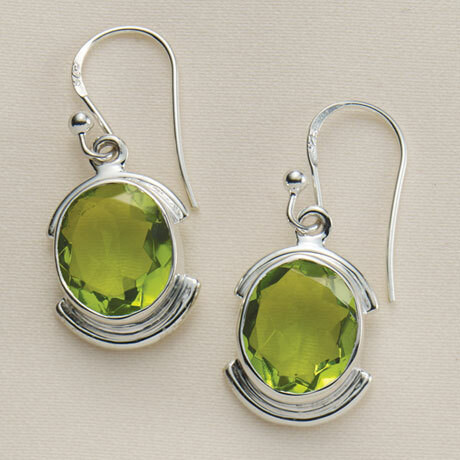 Large, expertly faceted apple-green glass peridots are hand-set in sterling-silver bezels held in sterling curves. 1" ring (HX1307) in whole sizes 6-10. Earrings (HX1317) hang 1 1/8" on sterling wires. Sold separately.